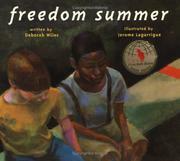 One of the best books I’ve found for reading during Black History Month is Deborah Wiles’ Freedom Summer. Told from the point of view of a white boy during the tumultuous period after the passage of the Civil Rights Act in 1964, this is a book that sparks many discussions. Fifth graders heard this book about a small town in which the public swimming pool is filled with asphalt after the passage of the law instead of allowing it to be open to all. We used a visual thinking routine called Circle of Viewpoints to discuss what could have made the townspeople do such a terrible thing, how the two boys in the story were feeling, and how they themselves might have acted in that situation Seeing it from different sides made students ponder about the causes of such behavior and to think about a time in their lives that they might have made a judgement about a person based on fear and incomplete information. First Grade–This week we read our 3rd nominee for the California Young Reader Medal, I Need My Monster by Amanda Noll. So far in our practice voting, this book is our frontrunner. Third Grade–This week we also read I Need My Monster for the CYRM voting. Fourth Grade–Fourth Graders heard The Other Side by Jacqueline Woodson, another great book for discussion during Black History Month. Again, we used the visual thinking routine, Circle of Viewpoints, to look at the story from the point of view of each of the characters–the two girls, the mothers, the other girls, and even from the point of view of the fence. In this way, students understood the metaphor of the fence in the story in a new and concrete way. This entry was posted in Uncategorized and tagged Black History Month. Hi there … I have been on the search for fellow elementary school librarians who have blogs. I just started blogging myself, and I have come across TONS of teachers websites, but not so many librarians. I love the fact that you are sharing your read-alouds with us. I always wonder what other librarians are reading 🙂 Just started following you. If you are interested, pop on over to http://www.librarypatch.com and follow me.